Often overshadowed by the Ancestral Pueblo centers at Chaco Canyon and Mesa Verde, the Middle San Juan is one of the most dynamic territories in the pre-Hispanic Southwest, interacting with Chaco Canyon and Mesa Verde as well as the surrounding regions. This ancient Puebloan heartland was instrumental in tying together Chaco and Mesa Verde cultures to create a distinctive blend of old and new, local and nonlocal. The contributors to this book attribute the development of Salmon and Aztec to migration and colonization by people from Chaco Canyon. Rather than fighting for control over the territory, Chaco migrants and local leaders worked together to build the great houses of Aztec and Salmon while maintaining their identities and connections with their individual homelands. As a result of this collaboration, the Middle San Juan can be seen as one of the ancient Puebloan heartlands that made important contributions to contemporary Puebloan society. Paul F. Reed is a preservation archaeologist with Archaeology Southwest. A Chaco scholar at Salmon Ruins for sixteen years, Reed is the editor of Chaco’s Northern Prodigies: Salmon, Aztec, and the Ascendancy of the Middle San Juan Region after AD 1100 and Thirty-Five Years of Archaeological Research at Salmon Ruins, New Mexico. He lives in Taos, New Mexico, and is currently working to protect the greater Chaco landscape from the effects of oil-gas development. Gary M. Brown is an archaeologist and cultural resource manager with the National Park Service in California. 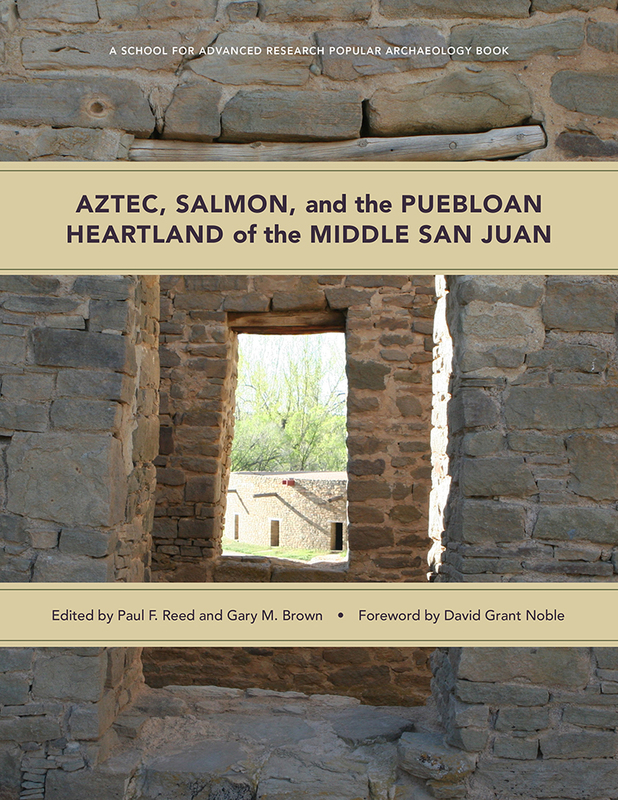 He was an archaeologist at Aztec Ruins National Monument for thirteen years and was a key member of the Middle San Juan Project, which laid the groundwork for much of this book.